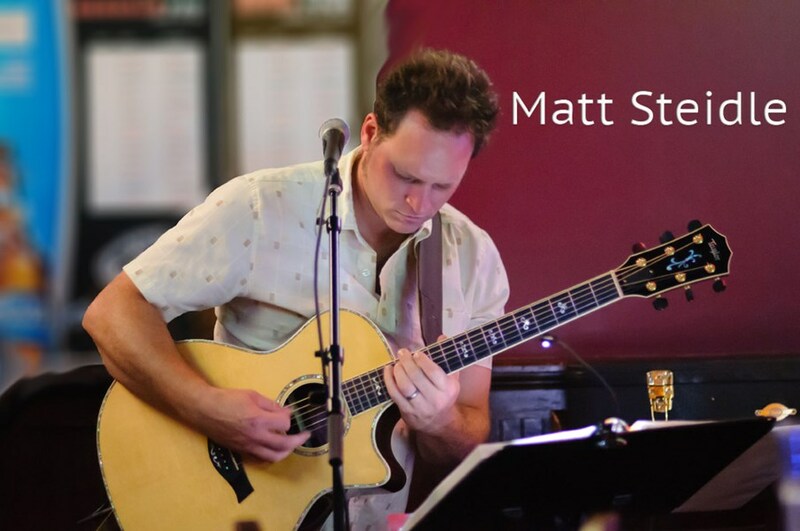 Matt Steidle performs all around Columbus, OH. He has performed at the Columbus Jazz & Ribs Festival, The Short North Gala and Short North Gallery Hops, Franklin Park Conservatory, Comfest, Grandview Gallery Hop, Columbus Arts Festival, and many small bars, clubs, weddings and private events. Matt has performed in and out of numerous bands and has taken his experiences and applied them to his solo act. Matt has played with bands, such as, Fo Mo Deep, New Pollution, Meister Trio, and several other groups. The energy level of Matt's performance far exceeds above and beyond the average performer. While Matt writes, composes and produces music, you will find his show is filled with tunes you recognize and can sing to. From early 60's to current music, there is something for everyone, he even throws in some old jazz standards with a modern feel! Matt is available for all types of events: weddings, wine tasting, corporate events, birthday parties, and, of course, restaurants and clubs. If you have an event that needs music Matt's the guy. Always on time and ready to perform. Please contact Matt today and make your event even more memorable! And don't forget to listen to the demo! Please note Matt Steidle will also travel to Westerville, Blacklick, New Albany, Worthington, Lewis Center, Reynoldsburg, Galena, Dublin, Powell, Groveport, Hilliard, Pickerington, Johnstown, Pataskala, Amlin, Grove City, Canal Winchester, Sunbury, Unionville Center, Alexandria, Galloway, Lockbourne, Croton, Marysville, Baltimore, Delaware, Plain City, Centerburg, Carroll, Broadway.